PT Waskita Karya (Persero) Tbk - Waskita is a well-established state-owned construction company with core business competencies on Construction, precast, realty, toll road and energy. Waskita Karya was formed on 1 January 1961 as a nationalization result of foreign company named "Volker Aanemings Maatschappij NV" based on Government Regulation 62 of 1961. 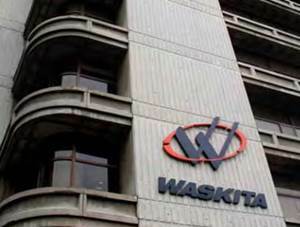 In 2012, Waskita Karya went public and its shares are traded on Indonesia Stock Exchange (IDX) with stock code WSKT. As of December 2016, Waskita is 66.04% owned by the Government of Indonesia and 33.96% remaining shares by public. Based in Jakarta, Waskita now has 30 domestic branch offices and 4 overseas branch offices (Uni Emirat Arab, Saudi Arabia, Malaysia and Timor Leste). Waskita also supported by 5 directly-owned subsidiaries and 6 indirect-ownership subsidiaries. Waskita's business results in 2016 showed improved performance compared to 2015. According to PT Waskita Karya (Persero) Tbk Annual Report 2016 as cited by JobsCDC.com, Waskita reported total revenue of Rp 23,788.32 billion in 2016. This reflected an 68.08% increase from Rp 14,152.75 billion in 2015. Total net income for the year 2016 increased by 73.07 % year-on-year to Rp 1,813.07 billion from Rp 1,047.59 billion in 2015. Minimum S1 Irrigation Engineering or equivalent. Mastering the design of power plants. Willing to be assigned in all parts of Indonesia. Minimum 5 years of experience in Quality Control (QC) of Concrete and Asphalt Toll Road Project. Able to carry out tests on any project activity as required in the specification. Able to generate test reports. Able to check any materials that go into the project as required. Have a certificate of expertise (SKA) at least Young Experts in their field. Minimum age of 27 years old. Minimum 4 years of experience in same position. Minimum D3 Civil Engineering/Public Health. Minimum 2 years of experience in same position. Minimum D3 Civil Engineering, Mechanical Engineering. Able to perform invoice verification of input taxes and expenses. Able to create tax reconciliation between bookkeeping records and SPT as well as existing evidence. Able to analyze the evaluation results of tax reports. Have a good understanding about the articles in taxation regulation relating to construction work. Hands-on experience in the field of financial analysis both cash flow and finance report in the field construction. Able to analyze and evaluate financial statements. JobsCDC.com now available on android device. Download now on Google Play here. Please be aware of recruitment fraud. The entire stage of this selection process is free of charge. PT Waskita Karya (Persero) Tbk - Staff, Engineer, QC, Lead Engineer Waskita June 2017 will never ask for fees or upfront payments for any purposes during the recruitment process such as transportation and accommodation.